Ancient people used earth, fire, and water to create beautiful as well as practical objects and vessels to ease and enrich their lives. Among the oldest artifacts we have are pieces of fired clay that have endured for thousands of years. For 40 years the Wizard of Clay we have proudly carried on this tradition. We work to make each piece as functional as possible, providing its owner with the timeless beauty and joy that only an art object can. STORE HOURS: 9AM-5PM year round. April 1st - December 31st seven days a week. January 1 - March 31 six days a week - closed on Thursdays. Closed Easter Sunday, Thanksgiving Day, Christmas and New Year's Day. You can also shop at the ever-changing pottery showcase, and let us hear from you! 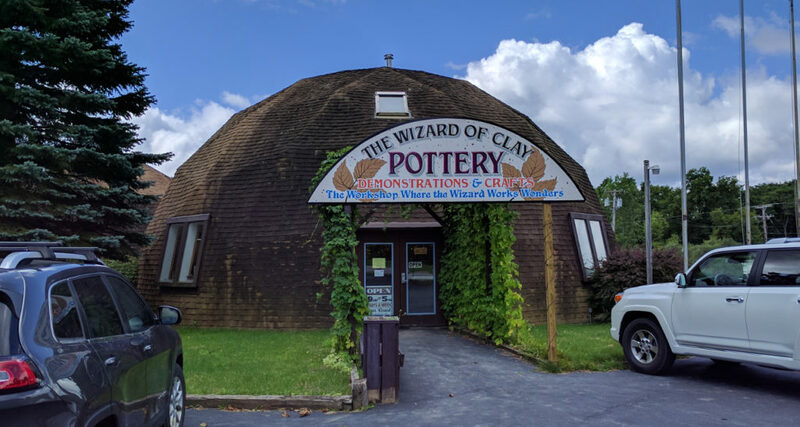 E-mail us at wizard@wizardofclay.com, or call 585-229-2980.